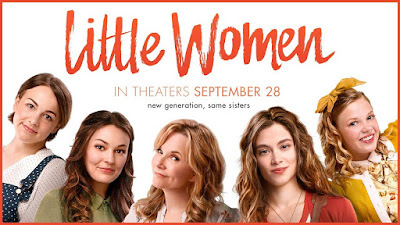 Home » Expired Contests » Enter to Win Fandango Passes for LITTLE WOMEN! Enter to Win Fandango Passes for LITTLE WOMEN! Enter to Win a $25 Fandango e-gift cards, redeemable for LITTLE WOMEN! See details below on how to enter. LITTLE WOMEN is in Theaters on September 28th, 2018.